There's a certain liberating freedom that comes with publishing a story that is based on overheard facts and your own interpretation of information. Magazines published (and still publish) rumors like this on their covers monthly. What is the wildest one that never, ever came to fruition. 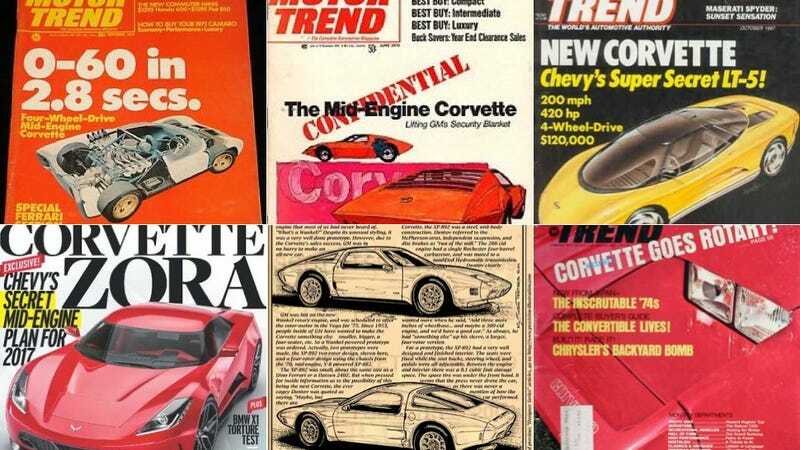 Of course, one of our perennial favorites has to be the rumors of a mid-engined Corvette. Those rumors seem to be turning more and more into fact lately, but they've existed on news stands everywhere since the 1970s. Yes, it was a romantic, exotic vision for America's sports car, but the time was never right to make it happen. What do you think is the craziest magazine rumor that has just never come to fruition?